It’s the end of June and up north, the birds are busy with their young, and taking full advantage of the summer’s arthropod bounty. In other words, they are doing the same thing as a lot of people except that we could substitute bugs for watermelon, strawberries, glorious nectarines, grilled stuff, dining outdoors, and other summer fare. In Costa Rica, since winter doesn’t exist, June is kind of like every other month except that it rains more and the little summer of San Juan is right around the corner. Stay almost anywhere: Check it out. Costa Rica is so compact, you could spend the first night in just about any of the major biomes in the country. Seriously. 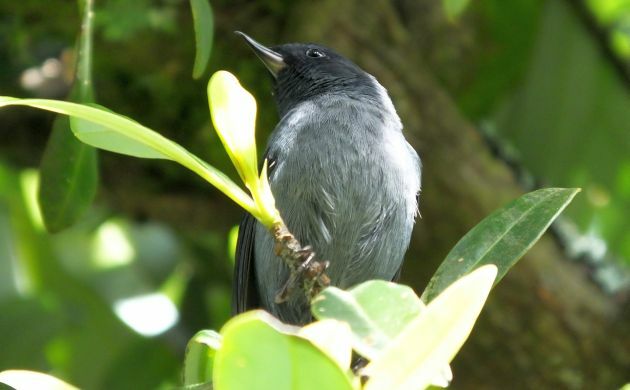 Want to wake up to Slaty Flowerpiercers and silky-flycatchers? Lodging in the Varablanca area is an hour from the airport at most. The high elevations and reliable quetzals of the Talamancas are two to three hours away. So is classic, comfortable birding at Rancho Naturalista, and lowland rainforest birding in the Sarapiqui area. 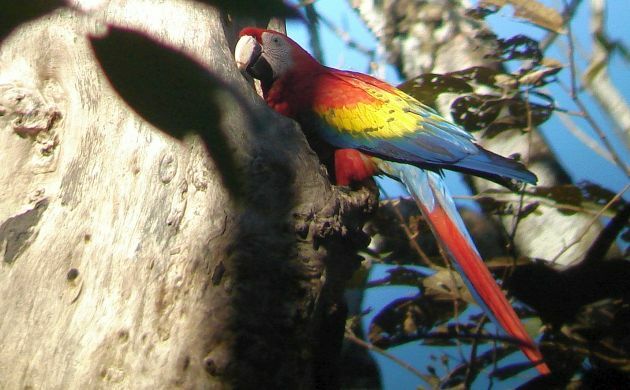 Or, do the quick hour and a half drive to Cerro Lodge and the Carara area to get Scarlet Macaw as one of your first birds of the trip. Some Central Valley options: A lot of birders spend their first and last nights in Costa Rica at the Bougainvillea. Although it’s not really close to the airport, it offers a combination of comfort, security, and birdy gardens that make it at an easy choice for tour groups. For a more intimate stay in birdier surroundings, try Zamora Estates; a hotel/vineyard that protects some of the last remaining wetlands in the Central Valley. 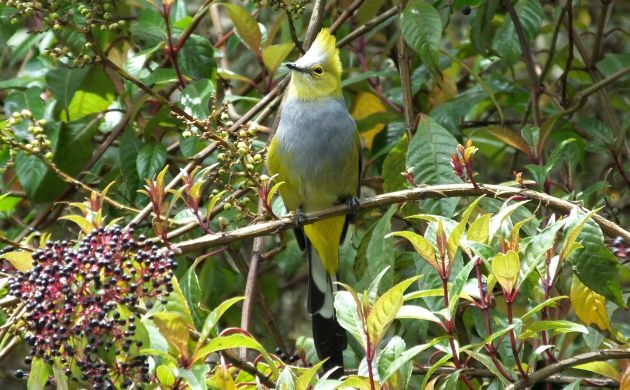 Or, head to birdy hotels in the hills above Alajuela. Surrounded by coffee farms and green space, choices like Xandari are a great place to begin a birding trip in Costa Rica. Keep in mind that these are just a few of the hotel options in the Central Valley, and even if you stay somewhere cheaper and less birdy, you can still find good birding just an hour’s drive away. 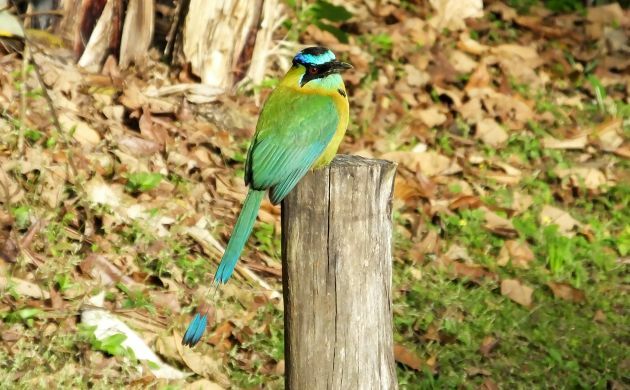 Blue-crowned Motmot– a common bird of hotel gardens. Introductory birding or happy madness: Do you want to ease into birding in the tropics or leap into the bio-craziness with binoculars at the ready? If you want to go the relaxed route, don’t worry, there’s still plenty to see in hotel gardens in and near San Jose. If you are ready for the full avian monty, though, Cerro Lodge and Rancho Naturalista are good choices. At Cerro, you might see Black and white and Pacific Screech-Owls that first night. The following morning, breakfast might be accompanied by flybys of ten species of Psittacids (them be parrots and their kin), Crane Hawk, White-throated Magpie-Jay, two trogon species, and several other birds of dry and moist forest including possible Yellow-billed Cotinga. 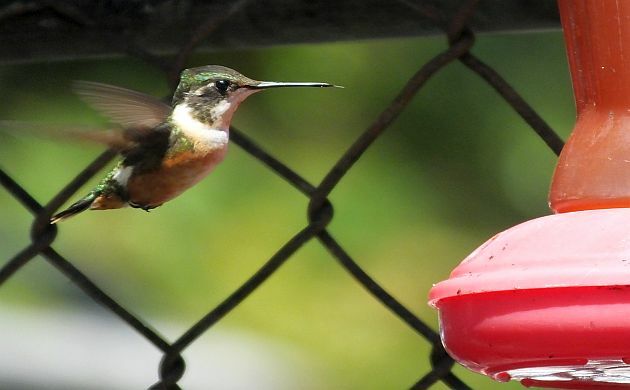 At Rancho, enjoy coffee and a delicious meal with a hummingbird show that includes White-necked Jacobin, Green-breasted Mango, Brown Violetear, and other hummingbirds including Snowcap and Black-crested Coquette. Meanwhile, dozens of other species show up at feeders and in nearby vegetation. Remember that even if you don’t start out at sites with huge numbers of species, you will probably be visiting those places during the trip anyways. 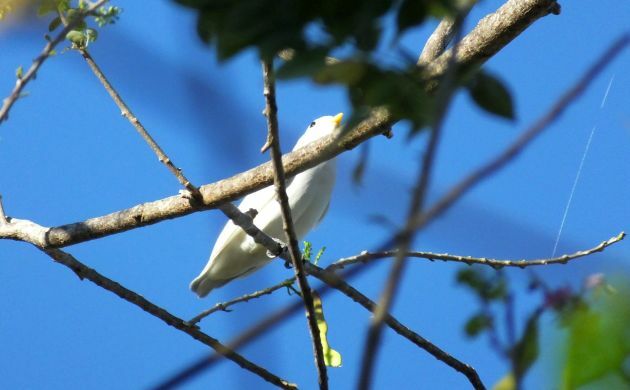 A Yellow-billed Cotinga near Cerro Lodge. White-necked Jacobins are common at Rancho Naturalista. More endemics: If you feel like seeing more endemics on that first fun day in Costa Rica, stay at the Poas Volcano Lodge, Poas Lodge, Peace Lodge, Cabanas Varablanca, or other spots at and near Poas. All are just an hour from the airport at most, and all have a healthy assortment of endemics on the grounds or nearby. 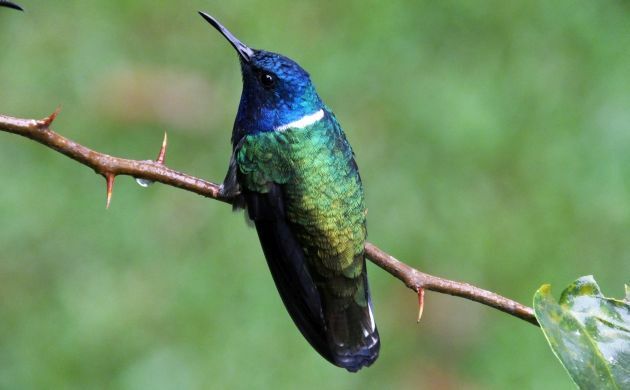 Watch feeders on site or stop at the Volcan Restaurant on the way to Poas National Park to see Violet Sabrewing, Purple-throated Mountain-Gem, Magenta-throated Woodstar, Volcano Hummingbird, and other species. Check out patches of cloud forest and bird Poas National Park to see everything from Black Guans to both silky-flyatchers, Spangle-cheeked Tanager, Black-thighed Grosbeak, Sooty Thrush, and more. Resplendent Quetzal, Highland Tinamou, Buff-fronted Quail-Dove, and Costa Rican Pygmy-Owl are uncommon but also occur in the forests of the national park. Costa Rica has more than enough options for birdy lodging the first and every night of the trip. 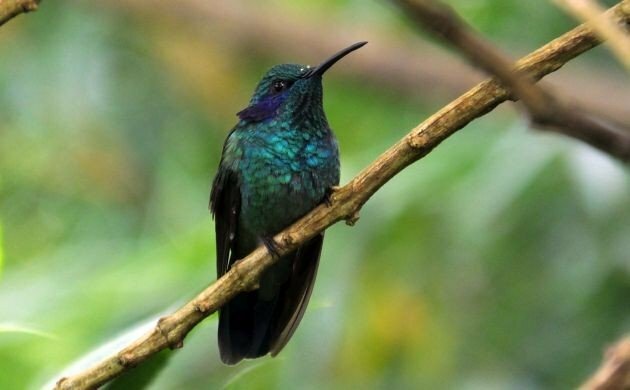 Whether you stay at the same places used by tours, or lesser known, equally birdy spots, you will literally see hundreds of species during a two or three week trip, and the R. Quetzal, Snowcap, and dozens of tanagers, hummingbirds, and other species are possible on a one week trip. Hope to see you here! Thanks for your gorgeous photos and inspiration! I’ve bookmarked several of your suggestions and hope to get to Costa Rica soon! Where Are You Birding This Final Weekend of June 2015?